Want to plan your trip in a customized way? 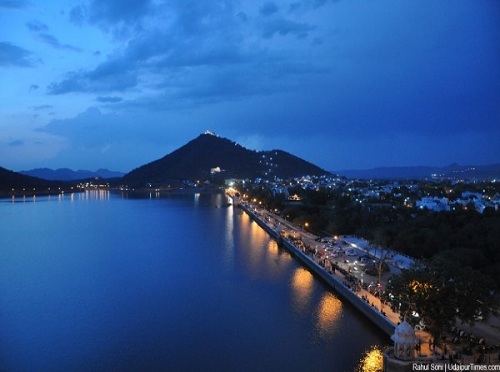 Udaipur has a reputation as a backpackers destination; this isn’t surprising considering it’s a relatively low cost destination, has a rich culture, geographically diverse, and most people are familiar with the site of travelers camping. However if your backpacking days are behind you, or (like me) the words ‘camping’ and ‘holidays’ don’t coexist, then you shouldn’t rule out Udaipur as a fantastic destination. If you need a tension-free travel, you need to book a holiday package. The desire to explore different places and cultures is embedded in human nature. Hectic lifestyle of the modern-day world makes people look forward to holidays. They crave to spend their leisure time to unwind and rejuvenate. In fact, many corporate houses today provide leave concessions and travelling facilities to their employers. After all, health and well being of employees works for the benefit of the organization. To enjoy and experience hassle-free travel, it is always better to book holiday packages. Let’s check out why. 1. No time for other planning– The modern world keeps people extremely busy. At the end of a day’s work, one feels exhausted and there is no time left to plan or arrange travel. Lack of time, busy schedule and elaborate preparation required for self travel makes them look for an alternative that can organise their travel. 2. Lack of Information- Lack of necessary information is another significant reason. You may be wondering why availability of information is an issue at all in times of Internet. Online information on specific pricing, availability of lodging and boarding facilities, food and restaurants is very vague. This is another significant reason why you should book a holiday package. 3. To avoid Queues & Other Hassles– When you book a travel package, there are many benefits. You need not struggle for the bookings at various places. Your tour promoter will take care of everything, and you are assured of facilities that ensure your comfortable stay. This means everything is arranged keeping your comforts in mind. From food to accommodation, all your needs are taken care of up to your satisfaction. 4. To Pay Less and Travel more- This is the biggest advantage for the travelers. You get assured service wherever you go. Your place is reserved and you can enjoy the home-like comforts after a tiring day of travel. Moreover, the holiday package booking companies pass on the benefit which comes with booking the entire package together to their customers, in terms of discount. They know how to organise the tour in such a way that one can have a real classy experience at a much reasonable cost. 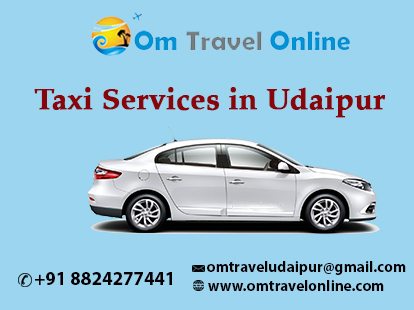 Om travels is here with their taxi service, Taxi Services, Udaipur Taxi Service, taxi in Udaipur, Udaipur Taxi etc at best price.